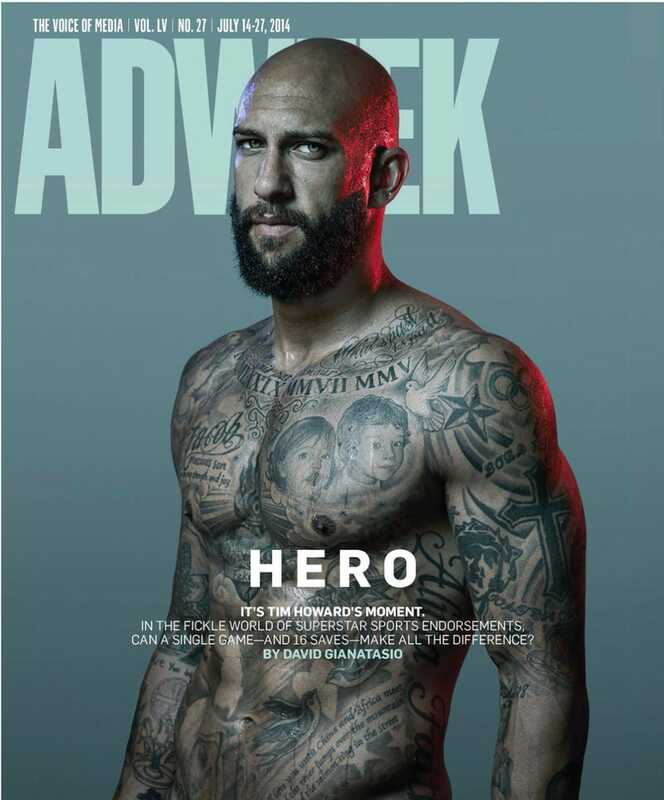 The World Cup is over — Germany won, BTW — and now the spotlight can return to America’s football champion Tim Howard and his chiseled abs. You know, the important stuff. In the new issue of AdWeek, the 35-year-old talks about how Americans just realized he’s a big deal, though he’s been an international star while playing in England for over a decade. Has your sudden fame in the U.S. been overwhelming? It’s not overwhelming for me in the sense that I play in England. In England, soccer is just mega—it’s huge. I’ve been there for 11 years. I’ve seen firsthand how people react. Obviously, in America, the nonsoccer fans have really taken notice of the sport with the World Cup. That’s been cool to see as an American who is trying to help grow the sport. What’s shocked or surprised you the most in the past couple of weeks? Just how intrusive a camera phone can be (laughs). That’s just the world in which we live. That’s society today, so I understand how that works. The worst thing is probably when I’m with my children, having people bombard me at times. Are you hoping to lead the U.S. to World Cup glory in 2018? A lot of things could happen in that time frame. I don’t know the exact answer. I wouldn’t be disappointed if I was part of that run, but there’s a lot of factors that go into that decision.